Owner operator – Barefoot N Boots since 2007. Jo holds a Diploma in Equine Podiotherapy and is a qualified barefoot trimmer. She specialises in pathologies working in conjunction with veterinarians and provides emergency agistment and quality care. She also supplies hoof boots and veterinary products to maintain support for hooves. 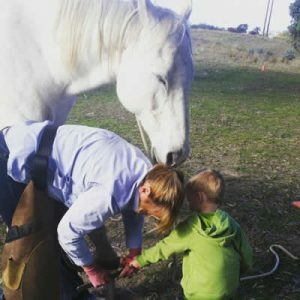 Her goal is to encourage, support and promote the holistic hoof care to upcoming hoof practitioners.